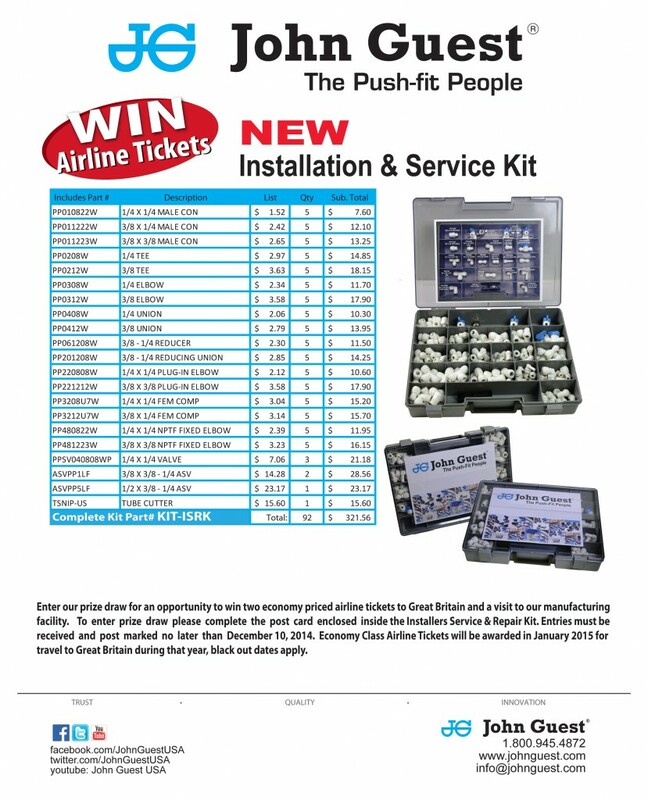 Fairfield, NJ, February 3, 2014 –John Guest introduces new 92 piece Installation & Service Kit. Fittings come packaged in a sturdy compartmentalized box with fittings identification label adhered to the inside of the box top. Kit includes Male/Female Connectors, Tees, Elbows, Unions, Reducers, Reducing Unions, Fixed Elbows, shut-off and Angle Stop Valves and a Tube Cutter. Every purchase in 2014 gives the buyer an opportunity to enter our drawing to win two Free Airline tickets to Great Britain and a visit to our manufacturing facility.